When The Beatles released Sgt. 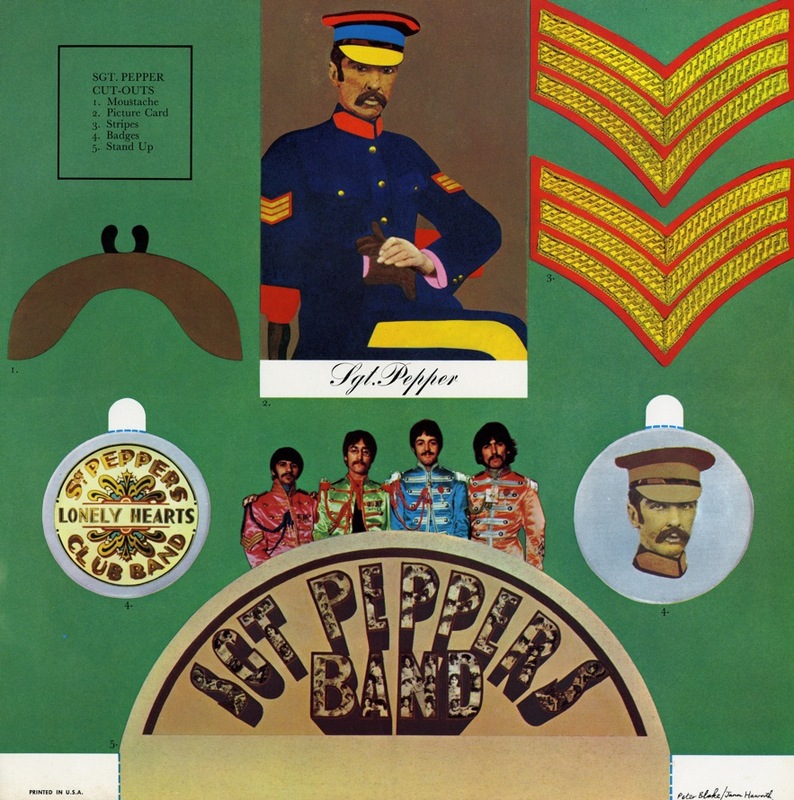 Pepper Lonely Hearts Club Band in 1967, they inserted in the LP sleeve a set of Sgt. Pepper cardboard cut-outs. The set included a moustache, a picture card of Sgt. 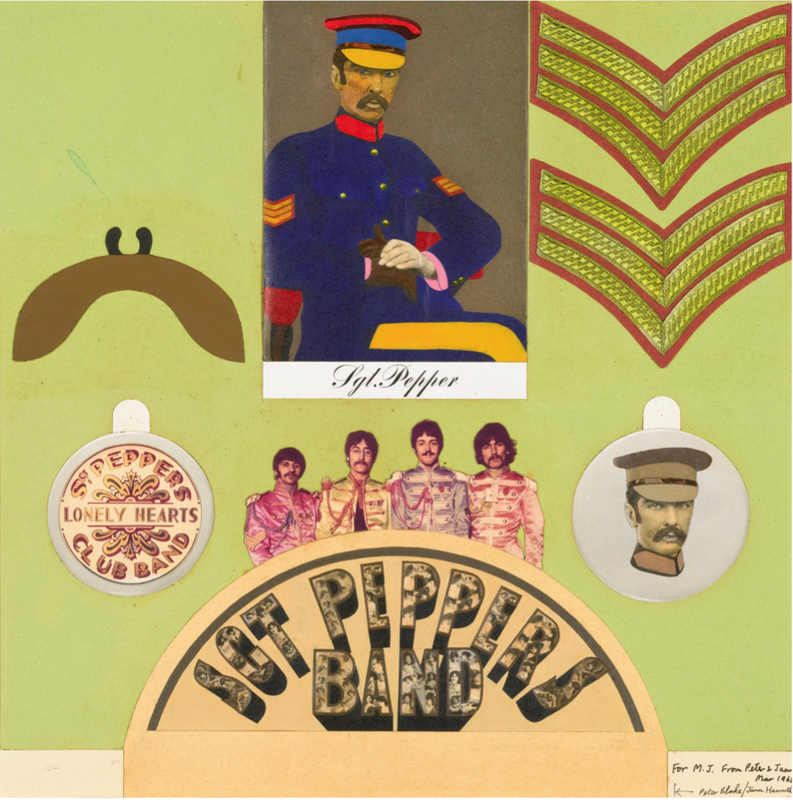 Pepper, sergeant stripes, 2 badges, and a Beatles Sgt. Peppers Band stand-up. The LP also includes this psychedelic inner sleeve for the record designed by The Fool. The Fool actually designed the original (rejected) Sgt. 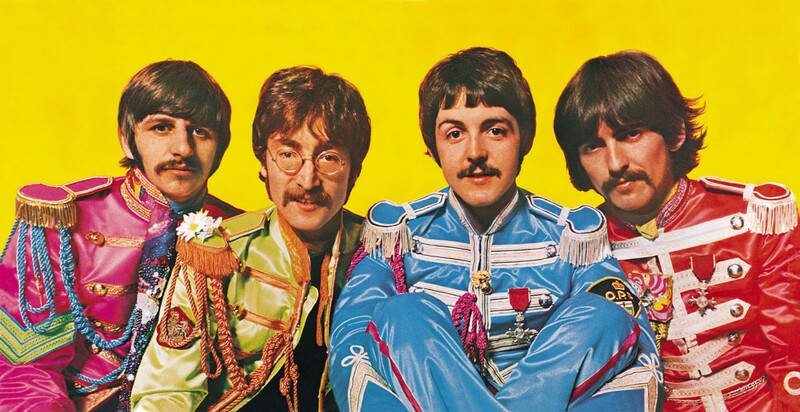 Pepper Lonley Hearts Club Band gatefold. Apparently the dimensions of the painting were wrong so it was replaced with this photo of The Beatles with a yellow background. Simon Posthuma (The Fool), was asked about the artwork in 1996. What happened to the original design? 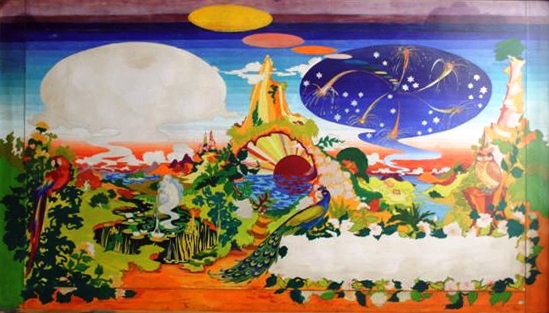 The original painting is still in possession of the Lennon Estate. Both John Lennon and Paul McCartney took home the famous Sgt. 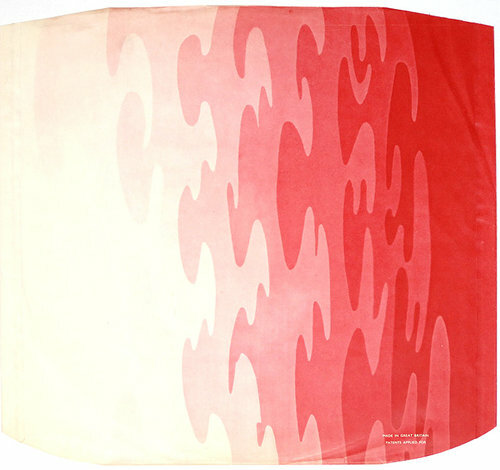 Peppers drumhead used on the album cover.